It's definitely the most magical time of the year. The weather is cooler and crisp, the sights and sounds of Christmas lights and decorations light up the night, and the smells of delicious cookies fill the air. You could not ask for a more special time. I love the holidays and love them even more now that I have two boys who love this holiday even more then I do. 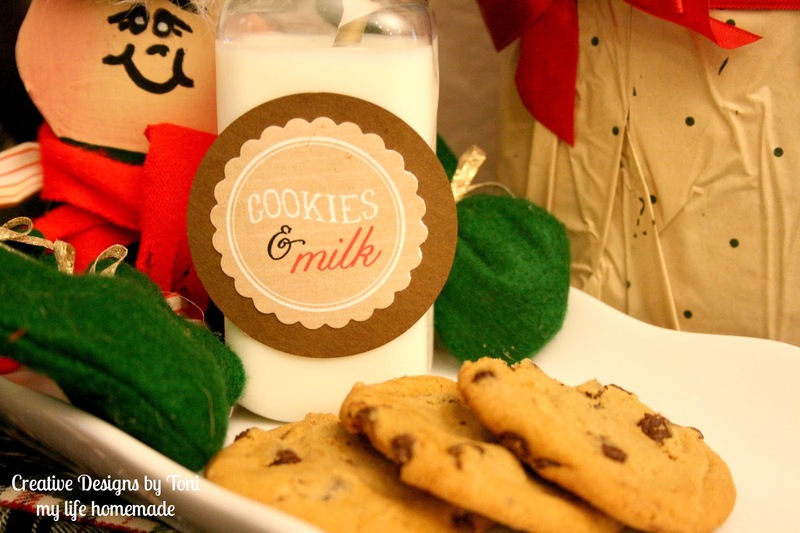 I want to make sure they have the best memories to look back on at Christmastime, so to celebrate our start to the holiday season I set up a Milk & Cookies Bar as a before bedtime snack complete with perfect printables from AndersRuff. I wanted our cookies and milk bar to feel as if we set it up in the reindeer stables. Well, at least outside the stable door. A little woodsy mixed with a rustic feel. 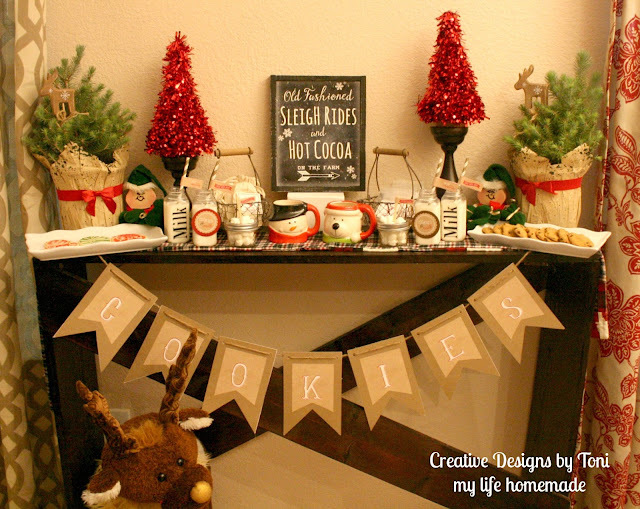 With two real mini Christmas trees flanking the cookie trays, wire baskets filled with canvas cocoa bags, and a flannel plaid runner across our dark wood table gave our winter theme a completed look. 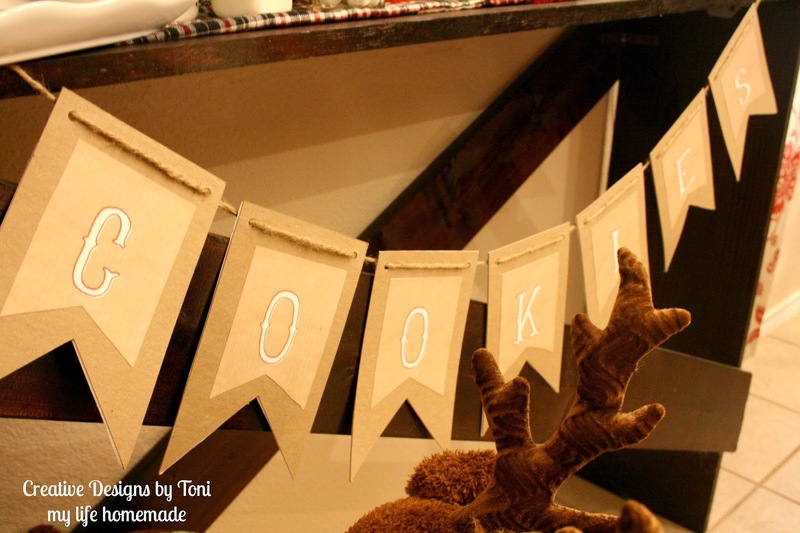 I attached the custom "Cookies" from AndersRuff to pennant shaped chip board cards to create the banner and hung with twine to give a more rustic feel to match our woodland theme. 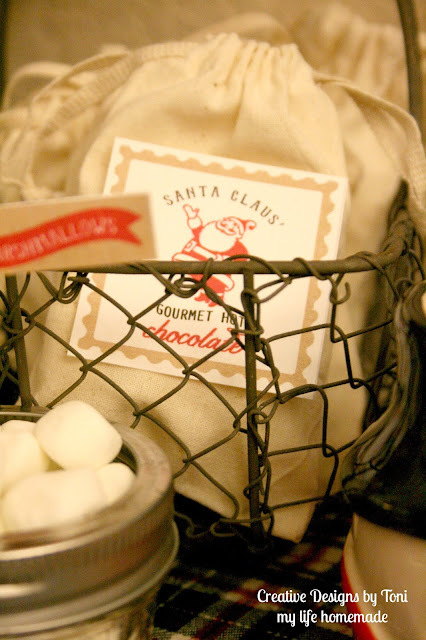 Mini canvas bags filled with individual packets of hot cocoa lined the wire baskets ready for use. I love how the AndersRuff gourmet hot chocolate printable tags fit perfectly on the front of the bags. 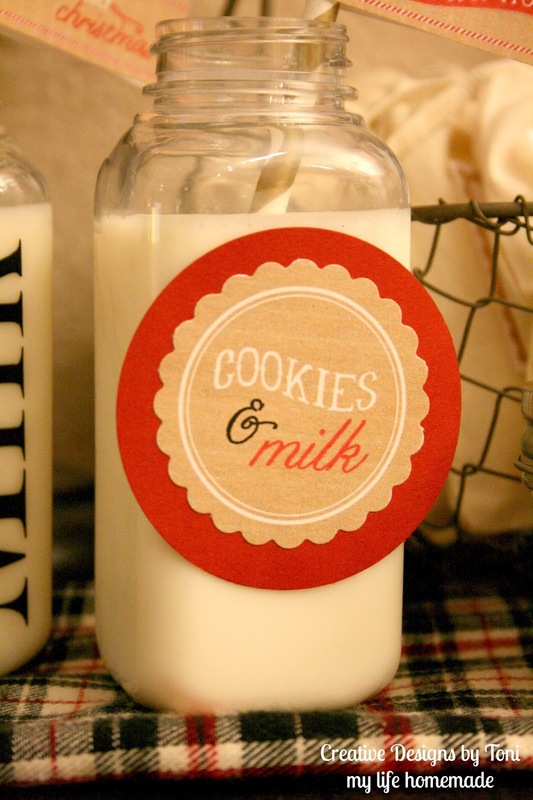 A milk and cookies party would not be complete without milk, of course!! 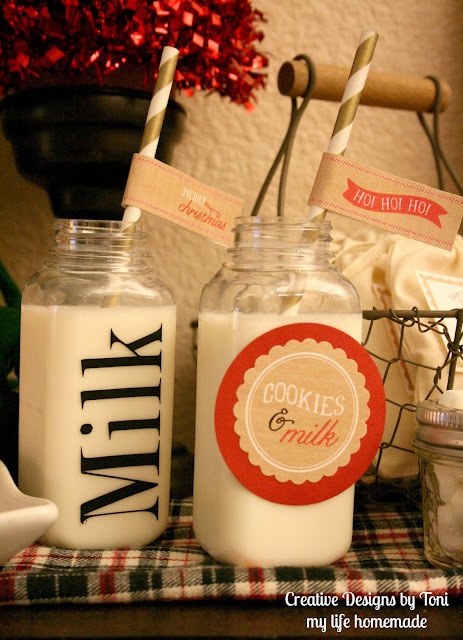 Using plastic drink bottles filled with milk, we attached the custom Cookies & Milk circles and topped with a striped straw and mini straw flag. I used a 2in flourish cut circle paper cutter to cut these and layered it with a 3in round cut paper. Marshmallows! 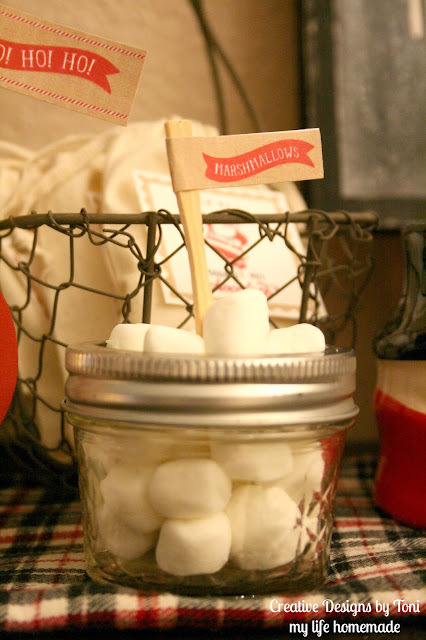 A small bowl of marshmallows were set out to top off our hot cocoa or for my boys who could just eat them as is, just a little treat to enjoy. I picked up special Christmas cookies just for this occasion. 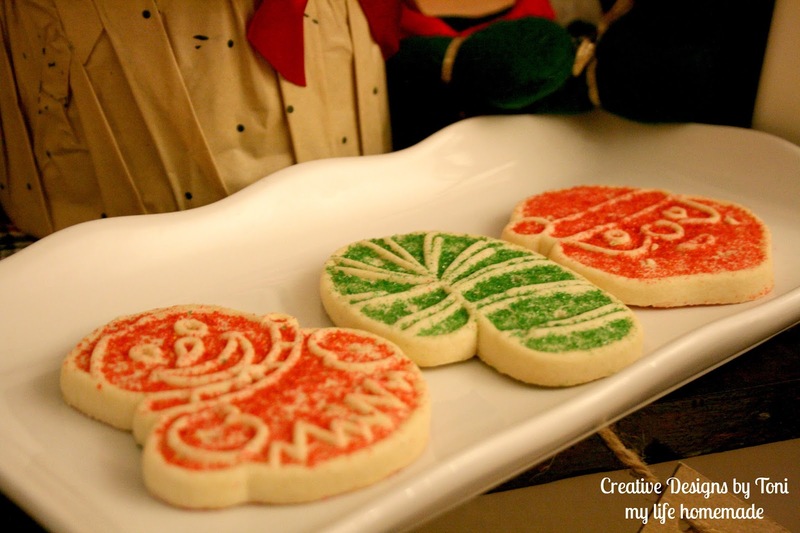 I knew just plain ordinary cookies would not do for this special event. 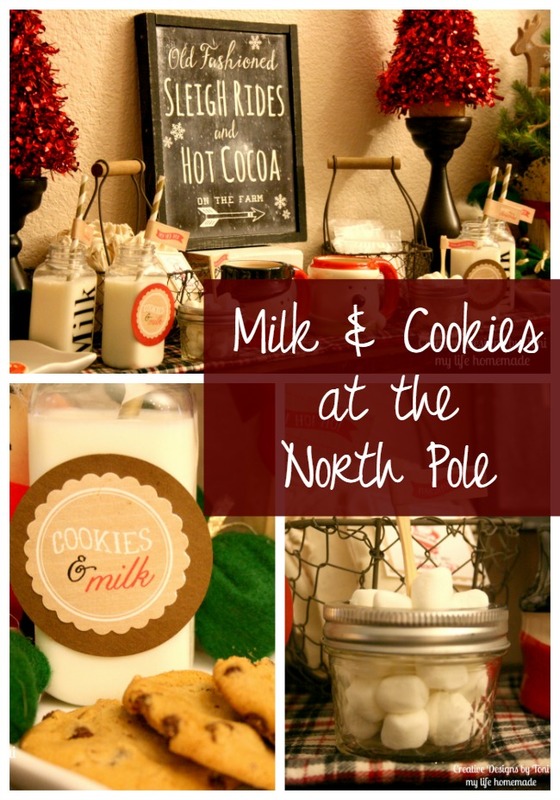 Snowman, candy cane, and Santa shaped cookies were a hit and the perfect touch to our cookie bar. 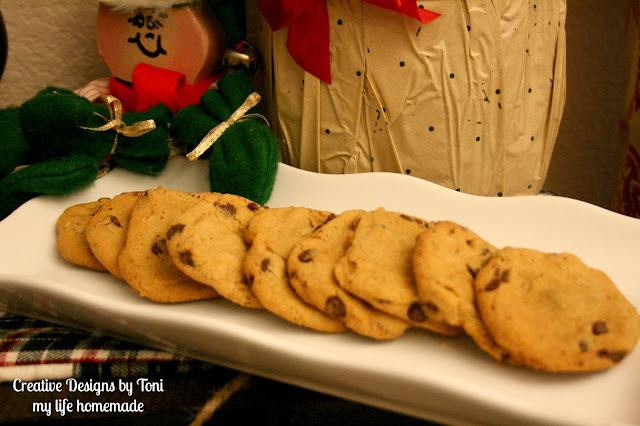 But, of course I baked some traditional chocolate chip cookies for us all to enjoy. What a perfect bedtime treat and an even better way to kick off our holiday! The boys absolutely loved it and I think this is going to have to be an annual tradition. Head over to AndersRuff to check our their amazing party printables to help you create your own Milk & Cookies Bar!!! They are incredible!! !